As we have seen over the past few months, the healthcare industry and its patients were some of the hardest hit. From prolonged power outages and network failures to basic telephone communication plans, modern disasters, both natural and manmade are cause for every CIO in America to stop and think about the effectiveness of the current tools in place. Individuals who were either homebound or bedridden were stuck wondering what their fate would be. This is where secure texting can play an invaluable role. This technology developed as a tool to can be easily established as a key component of your emergency command center, especially when cell phone networks are too congested for voice calls. All of this takes place while still maintaining HIPAA compliance, even in the direst of circumstances. Secure texting, as a component of healthcare disaster communication, is a growing in popularity across the healthcare spectrum, allowing clinicians to exchange patient information among themselves and other care team members without risking a hefty HIPAA violation. Before the event: In those times when eminent disasters are known, consider adding secure texting to your existing group planning. Utilizing secure texting as a key part of your communication policy during storms allows you to increase your commitment to patients who are unable to care for themselves. Additionally, secure texting can be used for scheduled employee check-ins in case telephone communication is offline. During the event: In the midst of a disaster, secure texting should be used by designated admins to provide updates on current conditions as well as to issue travel advisories for nurses in the field. During long-term events, schedules and changes in responsibility can be easily managed by secure texting. After the event: Once an event has passed, every organization’s top priority should be to assess damage, begin recovery efforts, and start to resume normal operations. This, however, can only occur if levels of devastation are manageable. Severe power outages and impassable roads can make it difficult to resume operations. In these situations, secure texting can provide quick and easy communication ranging from basic reminders of HIPAA compliance over non-secure channels to first aid and key points of awareness for heat exhaustion of patients. 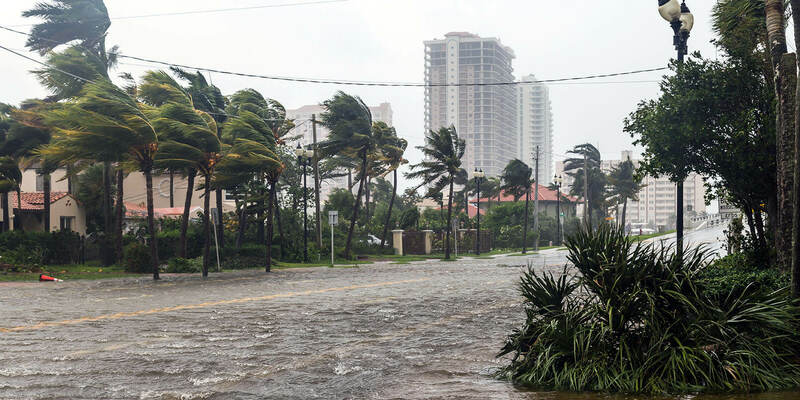 The last 25 years have seen a disturbing trend of increasingly dangerous natural disasters, ranging from hurricanes Andrew, Katrina, Harvey, and Irma to deadly earthquakes and forest fires. The devastation of such events makes strong cases for disaster preparedness on all levels of society. As this current hurricane season continues, it makes sense for everyone to take stock of what has been effective and what has not. In addition to these seasons, winter weather and tornadoes should also be included in annual plans to prep for and mitigate issues around natural disasters. As a key component to healthcare disaster communication, secure texting is designed in such a way that care team collaboration can continue, even in times of disaster. Healthcare doesn’t stop if a network goes offline, and neither should care team collaboration. To learn more about how Qliq Secure Texting can be part of your Emergency Preparedness Planning, CLICK HERE to request a demo.